Part of the open-source initiative, the GNU Network Object Model Environment, or Gnome, provides a powerful development framework for building applications in Linux/Unix using C. When combined with GTK+, a user interface library that simplifies graphics programming, you have a nearly unbeatable combination, one that is growing in popularity with developers for building leading-edge interfaces in Linux. 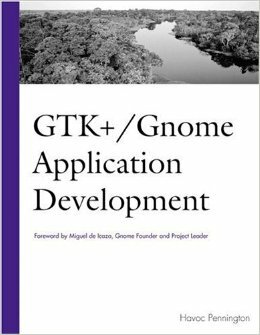 GTK+/Gnome Application Development provides a handy reference to these two important packages. Clearly presented, this book is a fine resource for any Linux/Unix C programmer who wants to use these two toolkits. This title is for the reader who is conversant with the C programming language and UNIX/Linux development. It provides detailed and solution-oriented information designed to meet the needs of programmers and application developers using the GTK+/Gnome libraries. Coverage complements existing GTK+/Gnome documentation, going into more depth on pivotal issues such as uncovering the GTK+ object system, working with the event loop, managing the Gdk substrate, writing custom widgets, and mstering GnomeCanvas.